Summer is fun at NKCPL! 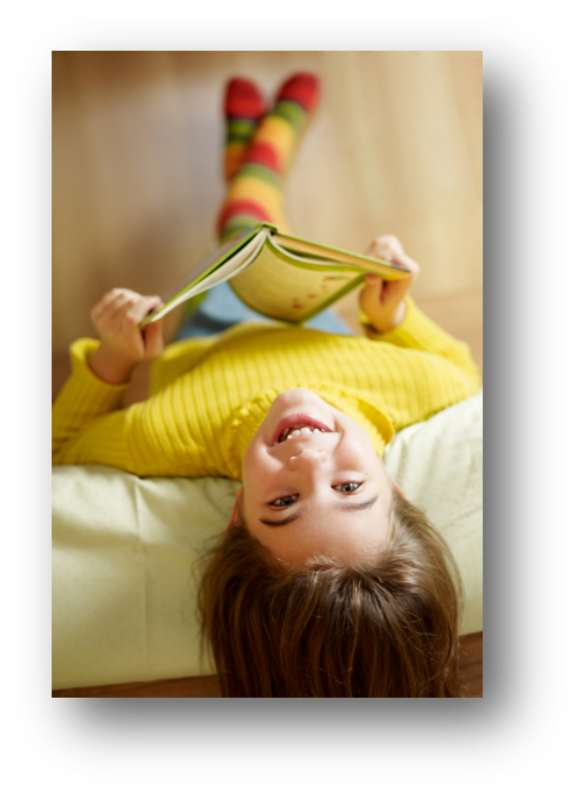 June Library news and info here. Up this month? Summer Reading in full swing, an Orchestra Petting Zoo for kids, brand new Sew Fun offerings, and more! Check out these June programs for adults! All programs are free and open to the public. Registration is required for most events. This class is part two of a three-part series with instructor Lisa Ronning. For details on this series, go to nkcpl.org > Programs and Events. Looking for a gentle form of stretching--but not quite ready to hit the mat? Join us every other Wednesday (approximately) for a relaxing hour of chair yoga with instructor Shannon Wheeler. This month's dates are June 6 and 20. No yoga experience necessary! Join us for a tasting of a handful of simple, yummy salad dressings, and leave with a few go-to recipes to fold into your rotation. Click to register! If you can sew a straight line, then you can make a fabric collage! Supplies (including machines) are included. With instructor Denise Lamkins. Click to register! Have pants that need hemming or buttons that need to be stitched on? Or just looking to improve the fit of your garment? This workshop is for you! Bring up to three garments that need TLC and we'll see how far we get in the allotted time. With instructor Lenora Remmert. Click to register! World Refugee Day is June 20. Please join Dr. Sofia Khan, founder of KC for Refugees, for a conversation about Kansas City's refugee community and the incredible work that this organization is doing to meet the needs of refugees in this area. Registration is not required for this event, but if you'd like to sign up to receive a day-ahead reminder, click here. Do you love a good cookbook almost as much as a good novel? Then this new group is for you! Join us for a potluck comprised of dishes by/from Julia Child, our featured recipe writer this month. Want more details about how cookbook club works, and/or want input on which Julia Child dish you might bring to the feast? Contact Amy Brown at abrown@nkcpl.org, or by phone at 816.221.3360. We're stretching our legs a bit (pardon the pun!) and venturing into the world of garment sewing with instructor Lenora Remmert. For these fun leggings, you will need to bring your own knit fabric. For details on the fabric requirements for this class, and to reserve your spot, click here. Join artist Kim Drottz for a session on how to make your own art journal from scratch. (Endless possibilities here!) Then in July, come back for another session to explore some fun art journaling techniques. Click to register! Are you a fiber lover (a knitter, crocheter, or spinner, perhaps) who's looking to connect with others of your own kind? Bring your wip and knit/stitch (etc) alongside other fiber craft-loving friends! We'll share tips and patterns, and enjoy working on our respective projects alongside fellow yarn lovers. In the Common Threads Makerspace! Registration is not required for this event, but if you'd like to sign up to receive a day-ahead reminder, click here. Turning 65? Join instructor Chris Wilt for a brief informational session about how to make Medicare work for you. Bring your questions! Click to register. for children and young adults ! Join us for weekly Storytimes ! PLUS: Mon @ 11 am all June and July! 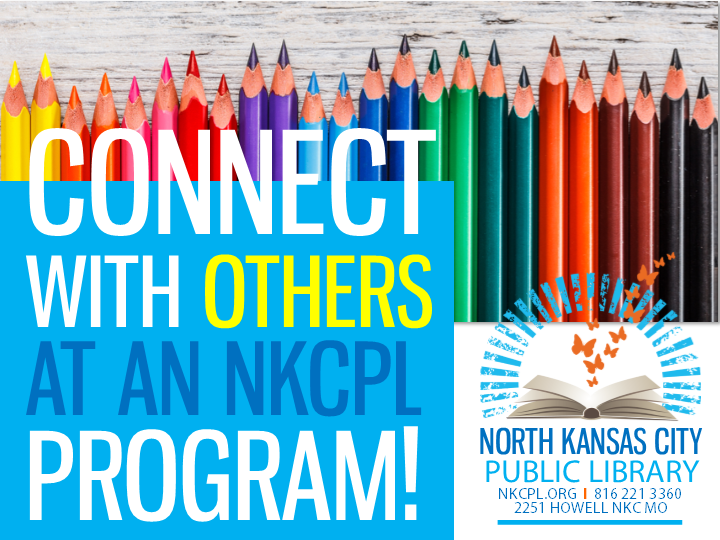 Kids of all ages are welcome to attend Children’s programs at NKCPL. Children under age 8 must be accompanied by an adult. Get up close and personal with some amazing musical instruments at this visit from the KC Symphony. Kids will receive a brief intro to each instrument, and then get a chance to try the ones they want. Click to register! Join us for an hour with KC Young Audiences' Urban Bucket Brigade! You'll learn how to turn an ordinary bucket into an instrument, and make some cool music, too. Click to register! Let's get moving! Join us in the orange mural room for a half-hour (or so) of songs, rhymes and activities geared toward kids newborn to pre-k. Stay for some playtime afterward with friends! Want to receive a reminder about this event? Click here. Drop in for some creative Lego fun in the Children's area! Snacks are provided. Want to receive a reminder about this event? Click here!